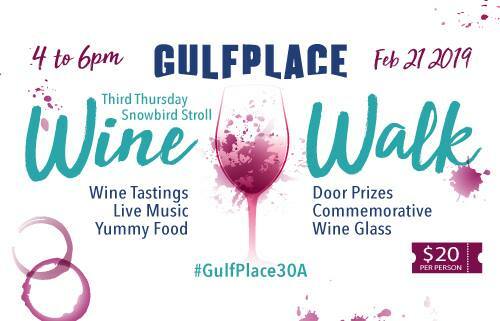 Similar to the Gulf Place Third Thursday Wine Walkabout, the Snowbird Strolls will include wine at 15+ participating merchants, light bites throughout the colorful neighborhood, live music and MORE! Check in at the Artists at Gulf Place colony to receive your commemorative walkabout glass and walkabout map. Cost to partcipate is $20. $5 coupons are available!